Sign up to host a #JointheOpposition action! You may receive updates from #AllofUs, the sponsor of this form. 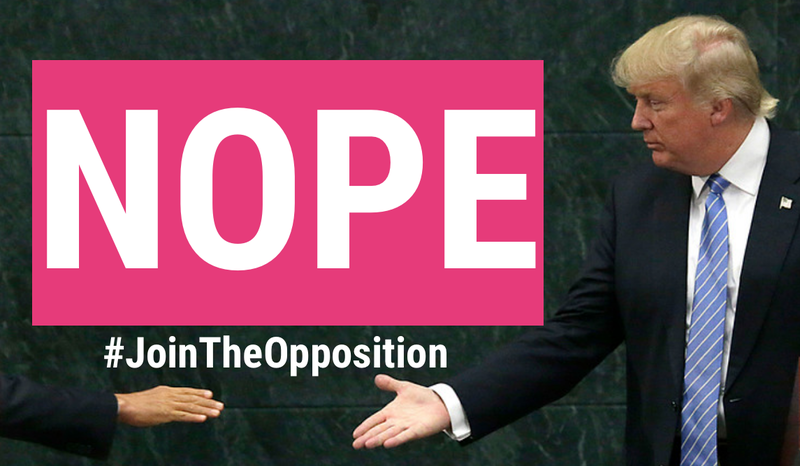 On Thursday, December 1st, we’re calling on Democrats in Congress to #JointheOpposition and stand up to fight Trump’s agenda of hate every step of the way. Please join us by hosting an event in your community! Sign up here if you would like to host an action. After you sign up, we'll follow up with you to walk you through everything you need to know and answer any of your questions. You can also check out our host toolkit here.